It’s no secret that Amazon loves to invest in and acquire small startups with promise. The Alexa Fund, Amazon’s corporate venture fund focused on AI, may be new but so far, it has been behaving just like the rest of the “Amazon family.” A recent CB Insights study on Amazon reports that the Alexa Fund, which is only two years old, primarily focuses on early-stage deals (seed & Series A funding). To date, the Alexa Fund has targeted startups in the smart home category, but in 2017, the fund also acquired one company, Embodied, which is firmly rooted in the education market. Given that Amazon has an established history of acquiring and investing in startups, including those that are under valued, there is good reason to ask, what does Embodied have that Amazon wants? Dr. Maja Matarić with one of her assistive robots. Embodied was founded by Maja Matarić who is Chan Soon-Shiong Professor of Computer Science at the University of Southern California. She is the founding director of the university’s Robotics and Autonomous Systems Center (RASC), Co-director of the USC Robotics Research Lab, and Vice Dean for Research at the USC Viterbi School of Engineering. Notably, it is important to avoid confusing Embodied, which was launched in 2016 by Matarić, with Embodied Intelligence, which was founded in 2017 by Pieter Abbeel, formerly a lead at OpenAI lab. Why Is Amazon Interested in Embodied? Amazon’s Alexa Fund is not the only venture capital group to show interest in Embodied. In a Series A round of founding, Embodied also attracted support from the Sony Innovation Fund and Intel Capital, as well as one anonymous investor. But the decision to put Alexa Fund capital into Embodied is no doubt not a purely philanthropic move, so what does Amazon see in the startup? 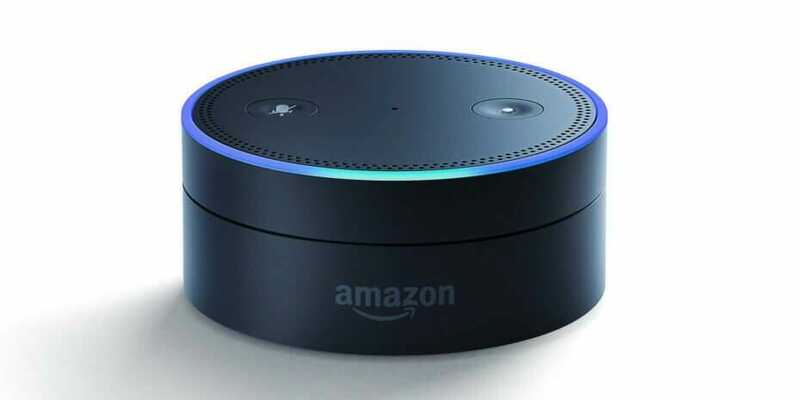 As the CB Insights report observes, “Nearly all Alexa Fund investments so far have a potential integration into Alexa’s smart home voice controls.” On this basis, it seems likely that Amazon is looking to use Embodied as a potential way to develop Alexa for use in socially assistive robots that hold the potential to work with children, people with disabilities, and potentially with the elderly. Given the enormous potential of creating assistive devices for these groups and the expected growth in demand for assistive robots for the elderly over the coming decades, the investment appears to make perfect sense. It is also aligned with Amazon’s other recent attempts to move into the educational market. Another explanation is that Amazon may be looking for a way to put a face and even moving limbs onto is dull and lifeless appearing Alexa units, but only time will tell if their Embodied investment turns out to be the first step in this direction.